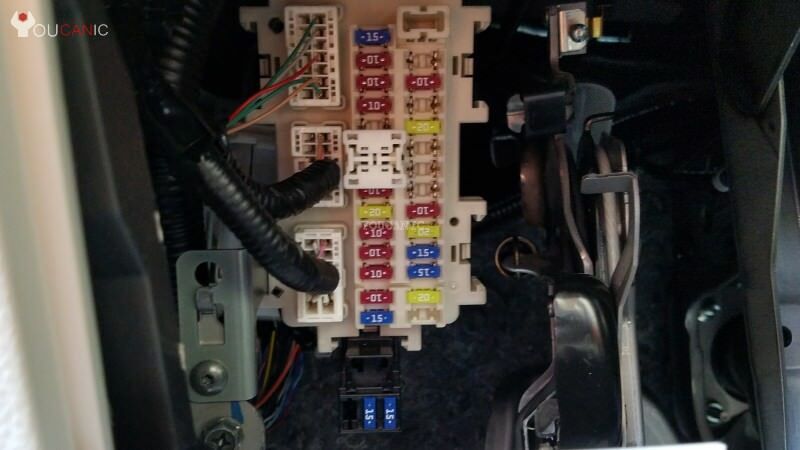 View the location of fuses on Nissan Quest. Applicable Years: Note that the fuse chart may change slightly between different Nissan Quest production years. Where is fuse box on Nissan Quest? Nissan Quest have two fuse boxes. One is located on the side of the dashboard. One in the engine bay. Here is the location of the fuse box found in the engine bay of Nissan Quest. Nissan Quest location of fuses in the engine bay. Diagram of fuses found in the engine fuse box of a Nissan Quest.